Durryle Brooks, Ph.D is an interdisciplinary researcher and a scholar-practitioner from Baltimore, MD. He has a B.A. from St. Mary's College of Maryland in Religious Studies, a M.A. in Sexuality Studies from SF State University, and a Ph.D. in Teacher Education and School Improvement from the University of Massachusetts-Amherst with a concentration in Social Justice Education. Having grown up in poverty with multiple intersecting marginalized identities, he was intimately aware at an early age the cumulative impact of oppression on his over-all well-being. Early experiences with religious oppression, homophobia, and heterosexism deeply impacted his ability to thrive. Because of this reality, Durryle has spent the last 15 years examining complex social issues such as racism, sexism, homophobia, poverty, religious oppression, and various other forms of social oppression and its impact on historically marginalized populations in order to mitigate those effects. Durryle realized that it was not enough to merely learn about oppression, but instead needed to move into a space of thinking and acting deeply for liberation. Dr. King's notion of a "Love That Does Justice" inspired him to explore social change work through a variety of civic engagement strategies. Additionally, his current research on contemporary discourses of love has informed his approach to pedagogy, social change, and liberation. 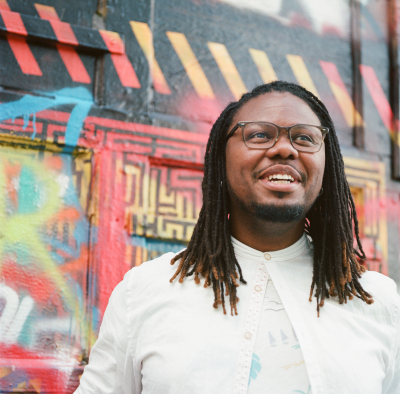 As a result, his work centers on dismantling systems of oppression through examining the everyday ways that power, privilege, and oppression work together to limit our human capacity for greatness. As a national trainer, Durryle has worked with organizations such as Leadershape, the Racial Justice Institute at Creating Change Conference, and the Social Justice Training Institute to provide participants with opportunities to deeply explore what it means to effectively lead within the context of complex, intersecting, and interconnected realities of race, gender, and sexuality. Through dialogue, critical self-reflective practice, and compassionate communication, Durryle 'holds space' for others to do meaningful work that liberates and transforms the personal and collective for our common good. "What is needed is a realization that power without love is reckless and abusive, and that love without power is sentimental and anemic. Power at its best is love implementing the demands of justice, and justice at its best is love correcting everything that stands against love"